technology selection project - Eric D. Brown, D.Sc. Yep…its true…..but most people don’t realize it. Pretty broad question but one that’s extremely important to answer. Now…one could argue that cultural fit should fit into the non-functional requirements or selection criteria selection questions…and I’d agree. That said, very few people really consider organizational culture when choosing technology. Cultural Fit – why worry? Why should we worry about cultural fit when selecting technology? Simple…organizational culture is a key driver of technology acceptance and adoption. Company culture will dictate how much support for a new technology is required. It will make a difference whether your users will take it upon themselves to learn a new technology or expect to have their hands through detailed training classes. 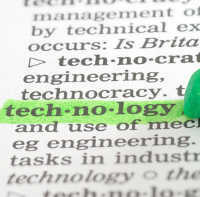 Culture will also determine how technology is used. Will the technology you select and implement by used in some new, innovative way or will it barely be used for its intended purpose? Cultural fit is just as important to an organization as functional requirements but its an often overlooked step in technology selection. I was hired by a large organization a few years ago to implement and manage development and customization for Sitecore CMS. The project was an interesting one…the organization hadn’t used a content management system prior to their selection of Sitecore and had been building all websites using HTML and flat-file databases through a two person web team. The team responsible for the selection and implementation of Sitecore CMS had assumed that the platform could be rolled out and anyone / everyone in the organization would be allowed into the system to input and manage their own content. Now…with the proper people and culture, this might not have been a bad idea. But the culture of this organization at the time was top-down command and control where everyone had been conditioned to do as they were told. At the time there was even a paper based communication approval process that required at least 5 signatures (sometimes more) before anything was allowed to be published to the web (this process has since changed for the better). Can you imagine implementing a technology like Sitecore with built in workflow processes, approval processes and publishing capabilities and to not really use those processes because a paper-based approval system existed? I will note that the Sitecore driven workflow processes were considered as a replacement for the paper-based system but never properly embraced or used. With a culture built around waiting for your boss to tell you what to do, do you think the CMS platform was accepted and embraced by the users? Another issue that was obvious from the beginning of this project was the complete lack of understanding of everything ‘web’ within this organization. This was very much an organization with a “print” mentality and modern digital communications and marketing concepts weren’t well understood by most. Needless to say, the plans to roll out Sitecore to the entire organization never really panned out. There were pockets of people and teams within the organization that were chomping at the bit to get into Sitecore but that was the exception rather than the rule. What can we learn from this example? The strategic objective behind selecting and implementing Sitecore was sound. So were the functional requirements…the platform is an excellent platform and fit into the organization’s overall technology architecture and roadmap. A failure occurred when the technology met the culture of the organization. The culture was rooted in ‘do nothing wrong’ and ‘receive approval for everything’. This culture let the inability for the people within the organization to understand, embrace and use a technology that allowed individual achievement, initiative and innovation. If the real goal of this organization was to put the power of digital communications and marketing technology in the hands of individuals (with proper workflow processes of course), a first step should have been to take on some form of organizational readiness study prior to technology selection. If this had been done, perhaps a different technology would have been selected or at least a different plan for rolling out the selected technology could have been created. Perhaps some organizational & cultural changes could have been implemented to allow this technology to better serve the needs of the company & people. Regardless of what could have been done differently, the basic lesson is this: failure to consider organizational culture prior to or during a technology selection project can be disastrous. Next time you take on a selection project, add the ‘cultural fit’ question to your list of things to consider…you may just be surprised at how differently your selection criteria and project turn out with this in mind.